The outstanding success of biotechnology is based on our ability to extract and harness knowledge about genomes, biological systems and complex cell functions, and on the remarkable progress achieved in adjacent fields such as high throughput screens, reading and writing of biological polymers, process engineering, fermentation and large scale manufacturing processes, and the application of advanced computational techniques and IT solutions to catalogue, search and mine patent and scientific literature, and interpret the products of omics technologies and synthetic biology. The goal of the industry session is to provide the ISCB community with first-hand knowledge of the computational opportunities and challenges from leading companies in Industrial Biotechnology (IB). We have invited representatives of IB companies who span the spectrum of the Biotechnology Enterprise as illustrated below. Industrial biotechnology has a long history. From the ancient Egyptians who produced wine and bread to the first antibiotic produced in China ~ 500 BC to the more recent, 100 years-old, processes for the production of compounds such as citric, acetic and lactic acids or the use of proteases in detergents, biotechnology has been a constant companion of human innovation. From these early days, the industry has grown significantly. The use of biotechnological processes in the production of modern goods has exponentially increased. Today, large industrial sectors utilize biotechnology as production platforms e.g. pharmaceuticals (drugs), healthcare (vitamins) and personal care (hair coloring), household goods (soaps and detergents), energy (bio-fuels), plastics (bio-degradable), electronics (sensors), textiles (leather), and agriculture (agro-chemicals). Through biotechnology solutions we are meeting global grand challenges for sustainable industrial production, food security, human health and the mitigation of environmental pollution and climate change. Biotechnology is a vital and emerging part of global economies. “No other sector holds the promise to enhance quality of life, productivity and environmental sustainability through innovation like biotechnology, while also benefitting Europe’s economy and research base” with these words, Carlo Incerti, Chief Medical Officer, Genzyme Corporation and Chairman of EuropaBio, opened the 3rd EuropaBio event on the Benefits of Biotechnology. Brussels, 23 June 2015. “While not immune to the economic crisis and resulting recession, the bioscience industry weathered difficult economic times better than most industries, and is on course to regain its previous high employment levels. Indeed, the promise of bioscience-based solutions to global grand challenges … provides an optimistic picture for the biosciences as a key economic development engine in the U.S.” Report: Battelle/BIO State Bioscience Jobs, Investments and Innovation 2014. Introduction to Industrial Biotechnology: Effective Strategies for Protein Engineering and Economical Large Scale Protein Production. Most of the literature and academic work in Biotechnology is centered around high value pharmaceutical markets. These markets have long product lead times, relatively high price points of $8,000 per gram for protein products, and low product volumes (< 1,000 Kg per year.) Protein products sold into industrial markets have short product cycles (6-18 months), low price points (<$10 per gram) and require volumes in excess of 10,000 Kg per year. Due to these differences, extremely rapid and efficient computational tools are required to address Industrial Biotechnology needs. While the skills needed by bioinformaticians in industrial biotechnology R&D overlap with those in publicly funded research, drastic differences in rather minor boundary conditions such as time and money can lead to pretty interesting differences in methodologies and approaches when it comes to solving problems with computational biology. This talk will recount some of the challenges encountered while working on the bioinformatics side of R&D projects in one the world's leading suppliers of vitamins, carotenoids, nutritional lipids and other ingredients to the feed, food, pharmaceutical and personal care industries … and how this ultimately affects the daily life of hundreds of millions of people. Examples and “lessons learned” will range from everyday user support over routine mining of large biological data sets to lead generation in ground-breaking pathway optimization research. Amyris has developed a high-throughput genetic engineering platform for designing and building custom microbes to serve as living catalysts. Using an industrial scale fermentation process, our microbes convert renewable sugars into a wide variety of low cost, high value target molecules, including medicines, commodity and specialty chemicals. Amyris' R&D efforts span rational & random design and construction of microbial strains, high-throughput screening and analytical chemistry, fermentation at multiple scales, and genotype/phenotype data mining. Every aspect of this work is facilitated and accelerated by quantitative science and software & hardware automation. In this talk, I will outline the computational biology challenges inherent in (a) elucidating biochemical pathways (b) designing and building microbial strains (c) designing rigorous combinatorial experiments to generate reproducible data with high signal-to-noise (d) analyzing giga- to tera-bytes of complex, time-varying phenotypic data (d) learning from these data to rapidly drive the next design cycle. To meet these challenges, we use a range of innovations including genotype specification languages and high-level functional ontologies of parts and pathways; metabolic and mathematical models; machine learning algorithms; process logic and workflow versioning tools; statistical process control and design of experiments. In recent years, knowledge management systems and semantic technologies have become standard components of large-scale enterprise software infrastructures — with applications ranging from research, discovery and development all the way to operations. Process optimization and manufacturing greatly benefit from a managed “knowledge/feedback loop”. In this talk, Biomax presents their premier knowledge management platform, the BioXM system, as used early on by industry partners in synthetic biology. Cost-effective DNA sequencing and de novo DNA synthesis have facilitated the emergence and rapid development of synthetic biology. The development of DNA assembly standards, publicly available part registries for sharing bioparts, and computer-aided design (CAD) tools have been instrumental in accelerating discovery. Applications of synthetic biology include renewable energy sources and biofuels, industrial enzymes, biosensors, drugs, vaccines and antibodies, bio-based chemicals, plastics, textiles and other raw materials, as well as food production. The BioXM Knowledge Management system is “putting it all together,” enabling life scientists to visualize, study, create and alter highly complex pathways and DNA sequences in their genomic context. 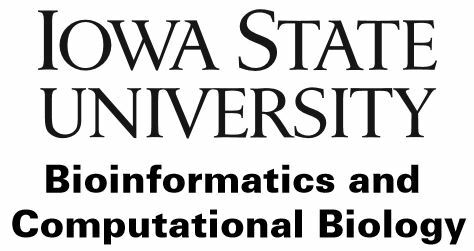 This allows efficiently building and characterizing parts repositories with respect to sequence information, part function and performance, and using these repositories to help design biological systems targeting the desired functionality. In essence, the BioXM system allows researchers to fully leverage a “design → build → test → learn” iterative approach to create improved biological systems. This presentation will review progress in the scale-up and commercialization of chemicals produced using bio-manufacturing processes. Bio based products are growing at 3-4% globally and in the U.S. alone generate over $120 billion in sales in spite of low petroleum prices and unexpected difficulties in the conversion of laboratory successes to commercialization successes. Key success factors, the importance of pilot plant work, integration of unit operations, regulatory requirements and a road map for the future will be discussed.